I Love "Music Mania"...love u this website tooooooooooooooo muuuuuuuuuuuch..!!!!!!...... by my heartly...!!!! Hey It's not only my heart wil go on.I'am a very big celine's fan anfd I know that MHWGO is not her best song,there are better,like "I Surrender" , "Taking Chances" , "Alone" , "A new day has come" , "River Deep MOuntain High" ....etc...and more..but not the titanic-song,i don't like this movie too. Hey... are you crazy? My Heart Will Go On Song Most famous in the world & ranking of 15th in best hit song of the world... & hey, don't talk about Titanic Movie. You dislike this movie is your question... but I love this movie & best movie which I ever seen..so.. don't hate this song again.. you understand that? is that clear? Hey, please Put other remixes online of "My Heart Will Go On" especially,...Techno Mythos & Cosmo Mix,DCM Megamix & Infra Mix...!!! Please..!!! Hey I also celine's fan...so mind your language to said me anything...I have 185 remixes of MHWGO song in my collection & it's not a jock..& it's a world record of me...you rascle & redeculas...!!! ha ha ha Damn it...!!!! can you please upload the following official My Heart Will Go On mixes? Squids are coming. Gingers exasperated sarcasm was directed at herco conspirators as much as her captive. I have been searching for the jonathan peters mix all these years and had no idea it was him. amazing quality too. only ever heard it on the radio in nyc back in the day. DUDE THIS IS FROM THE VINYL ?? 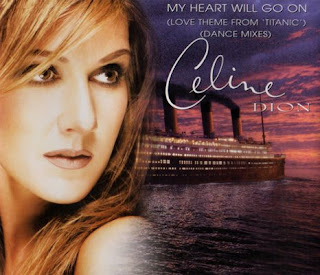 THIS ONE .... http://www.discogs.com/Celine-Dion-My-Heart-Will-Go-On/release/715906 ? ?